"It's ugly but it's real." What people discovered stuffed inside boxes last week shows just how much damage superstitions can cause. 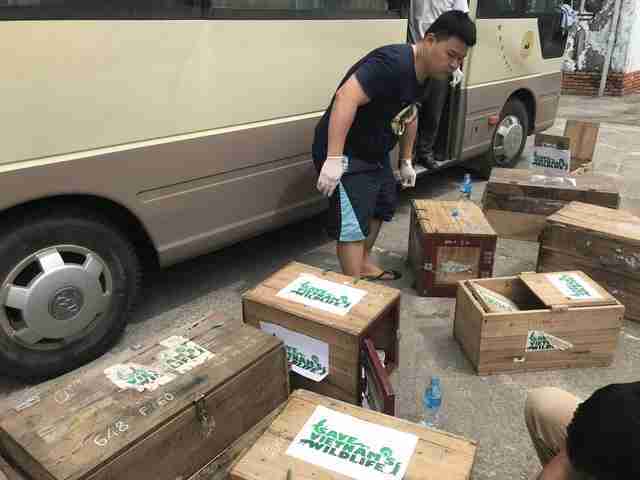 Two rescuers from Save Vietnam's Wildlife (SVW) arrived by plane in southern Vietnam because they received a tip-off that was particularly urgent: There were 114 critically endangered pangolins that had just been seized from traffickers in Ca Mau — and many of them were still alive. Sadly, these rescuers are used to such gruesome scenes. Pangolins — shy, nocturnal animals who curl up into tight little balls when frightened — are considered the most highly trafficked kind of mammal on the planet. Roughly every five minutes, a pangolin is captured in Asia or Africa to be sold in East Asia for his meat or scales, mistakenly believed to have medicinal properties. 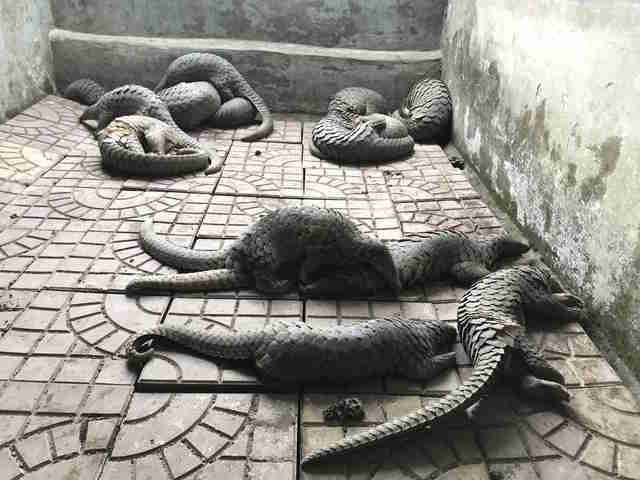 Because of such high demand for pangolin products, about one million pangolins were traded illegally in the last decade. Traffickers sometimes force-feed the animals or inject them with water to get them to weigh more, thereby increasing profits. 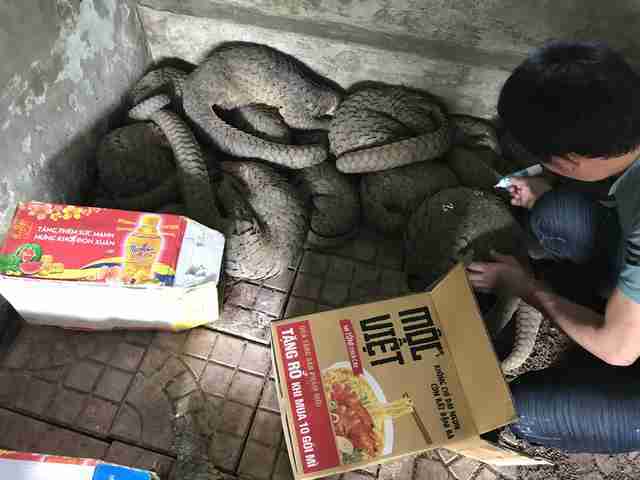 In this particular case, the pangolins were starving to death. 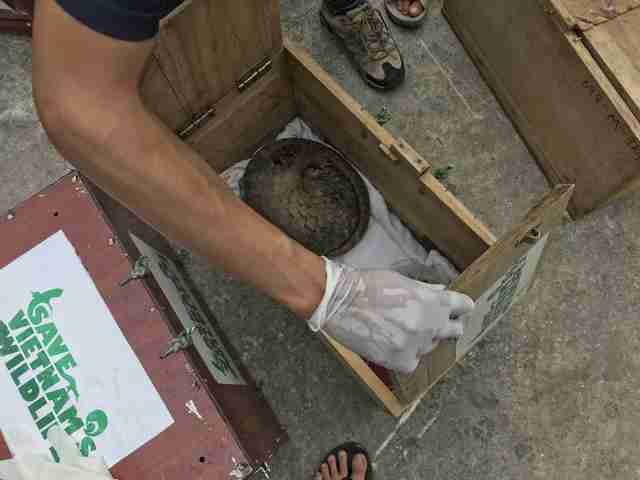 As the rescuers who arrived by plane rushed to revive the weak and dying pangolins, a van was on its way from the rescue center to retrieve the animals and bring them back to where they would be able to recover in the long-term. "It's ugly but it's real," SVW wrote on Facebook. "We came as soon as we [could] but were only able to save a half of them as they were all too weak from dehydration and diarrhea." 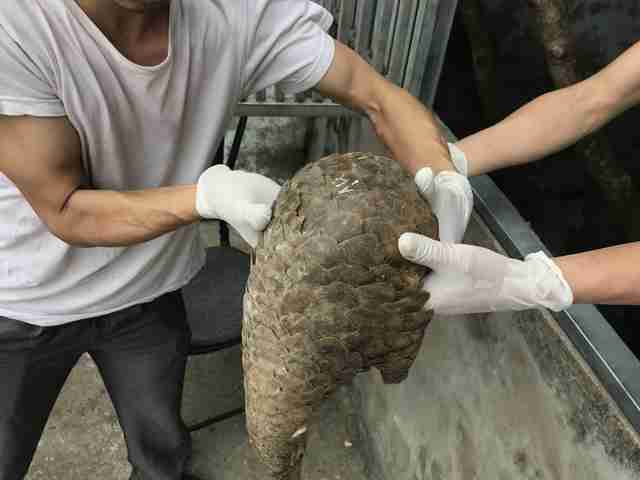 Many pangolins do not survive the stress of being stolen from their wild habitat, even when rescuers seize them from traffickers. 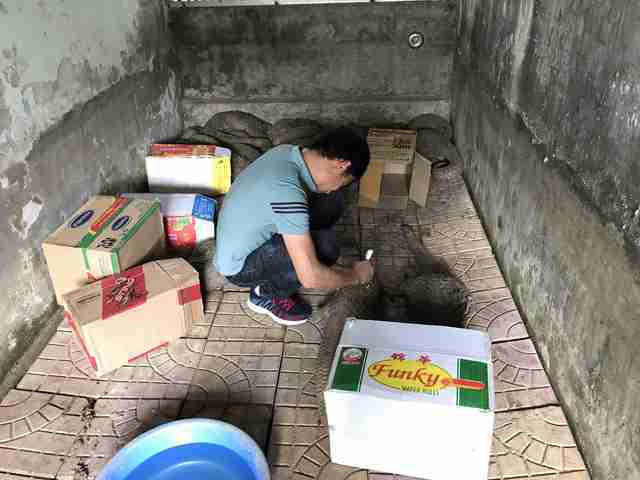 During the two-day drive back to the rescue center, several more pangolins perished in the van. But some showed signs of strength. 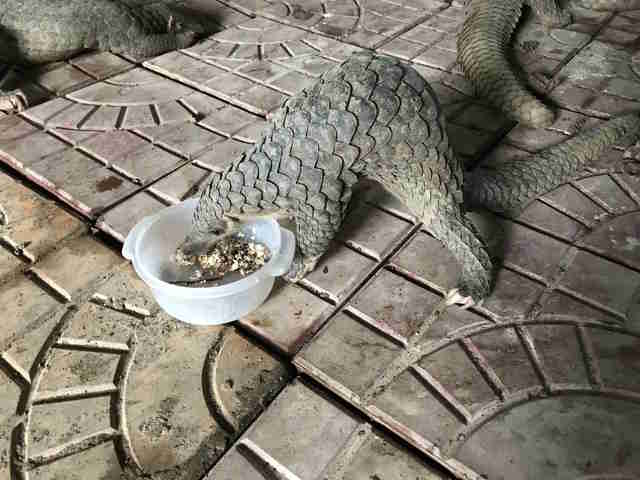 "These lucky pangolins enjoyed their first meal after a full week of starving," the rescue wrote when posting a video of several hungry pangolins sharing some food. 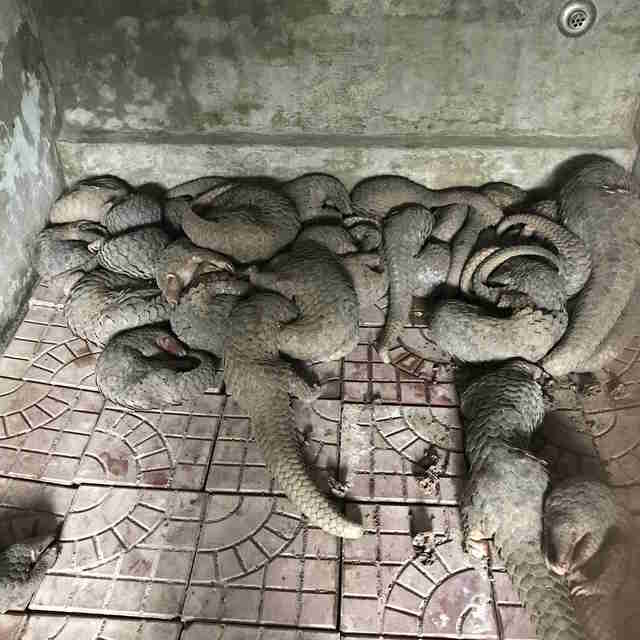 "We were only able to save 50 of 114 pangolins since they were really weak and the condition in Ca Mau was bad," Phap Nguyen Cong, communications officer for SVW, told The Dodo. For rescuers, there's no question that this lifesaving work is worth the heartache and the challenges. They will need to buy an almost constant supply of expensive ant eggs — the main component of a pangolin's diet — to keep these survivors strong. 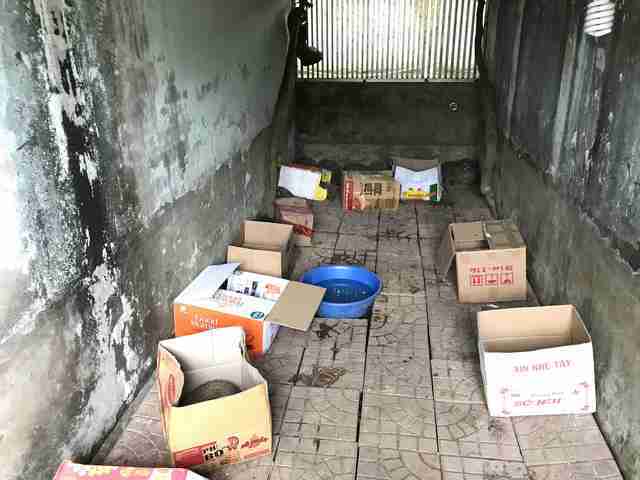 Many followers of the rescue center's work expressed gratitude that SVW was there to save the survivors. "So tragic," one person wrote. "Thank you for saving the ones you could. You’re all heroes to these poor exploited individuals." "Keep fighting the fight," another wrote. "Every one pangolin that you save matters." 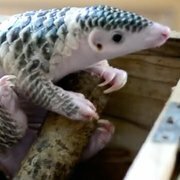 The 50 surviving pangolins will have as much time as they need at the rescue center to recover before being released into the wild, once they're ready. Many are beginning to calm down, uncurl their little bodies and eat, now that they finally feel safe. You can help SVW buy some much-needed ant eggs for these rescued pangolins by making a donation.